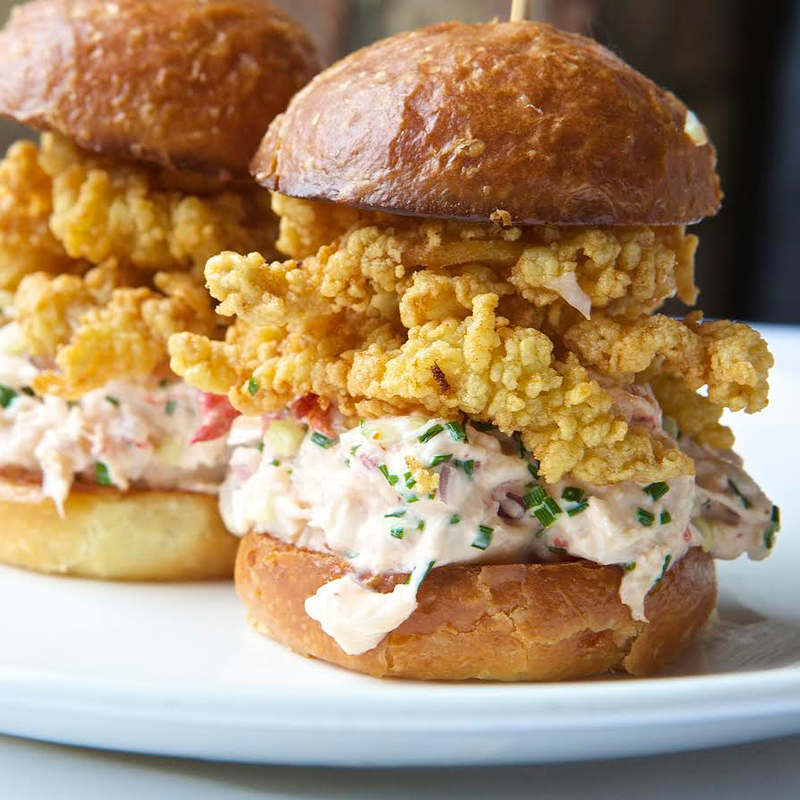 The happy hybrid takes fried clam strips and a Maine lobster salad and piles it all on two slider-sized, butter-griddled brioche buns. Isn’t this picture enough to make you wonder, Why didn’t some one think of this before? The bread: Brioche slider buns from Amy’s Bread. The filling: First, the all-important lobster salad, with lobster from Maine tossed in a classic combo of mayo, lemon, red onion and celery. Then fried surf clams, battered in buttermilk and primarily corn flour, then fried to a golden crisp — ready to join their lobster friends in an unforgettable lunch.